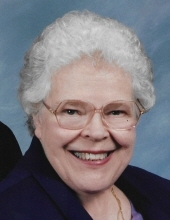 Elaine R. Zivkovich, age 91, of Bethel Park, went to be with her Lord and Savior on November 22, 2018. She is survived by her beloved sons, David P. (Carol) and Robert M. (Paula Heutsche) Zivkovich; grandchildren, Jordan (Jeff) Backstrom, Brik (Julia Traylor) Zivkovich, and Zachary (Emily Lehr) Zivkovich; great-grandson, Brayden; good friends, Kathy, Nick, and Fenice; as well as many nieces, nephews, and loved ones. She was preceded in death by her husband, Peter N. Zivkovich; and parents, Frederick E. and Margaret A. Beyer. Elaine retired from the Pittsburgh Public Board of Education where she had a lifelong career as an elementary school teacher. She loved her family, the Lord, and the Pittsburgh Penguins. Visitation will be held on Sunday, November 25, 2-4 & 6-9 PM at the JEFFERSON MEMORIAL FUNERAL HOME, INC., 301 Curry Hollow Rd., Pleasant Hills, 15236. A Blessing Service will be held Monday, November 26, 12 noon, in the funeral home chapel. In lieu of flowers/Memorial contributions may be made to the Chatham University (chatham.edu/giving/). To send flowers or a remembrance gift to the family of Elaine R. Zivkovich, please visit our Tribute Store. "Email Address" would like to share the life celebration of Elaine R. Zivkovich. Click on the "link" to go to share a favorite memory or leave a condolence message for the family.